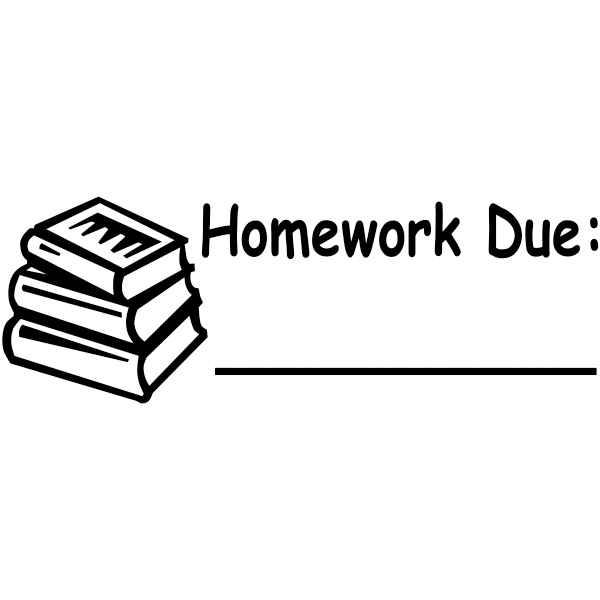 Homework Due teacher stamp features a stack of books and a line for the due date. This must-have stamp for teachers creates a place for students to write due dates. Students will become familiar with this design and quickly be able to navigate to the place on papers holding the due date. All those essays, worksheets and tests need to be turned in on time!